When i got to my table early this morning, i noticed my litmus mouse (it gives out blue and red lights - just as a litmus paper changes color for acids and bases) missing from my blue mouse-pad. OMG!! Where could it be?? Beneath the file stack? No!! In my laptop bag? No!! How am i ever going to work without it by my side? BING!! i got a message from my colleague to send him a file i was supposed to. Ignoring my previous feelings, i used the touch-pad to open up the file & started working. I got engrossed into my work soon. My flow was interrupted by an upgrade reminder of my anti-virus. Angry on the interruption, i moved my hand to the right to click "OK" on the pop-up & get rid of that annoying message. i curled my fingers over the usual place but all i caught was air. I looked towards my right annoyingly only to find the resting spot of my beloved litmus mouse empty...and the feeling returned!! Oh all those cherished memories of my beloved mouse!! KNOCK!! KNOCK!! on the door draws me back to reality. It was one of my colleagues & he was holding my dear little litmus mouse in his hand. 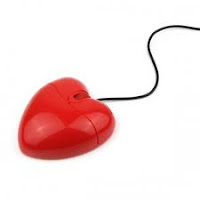 With shaky hands, i lifted my mouse & plugged it in. BLINK!! 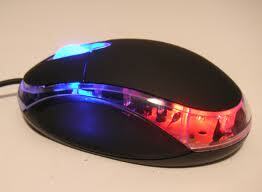 it came to life & my mouse-pad shimmered with red & blue lights. Oh, how happy i was to get it back. Staring at it for a brief moment, i held it & went back to work! !